Synopsis: A re-make of the 1987 sci-fi film Predator. Why I’m excited: Shane Black is a talented filmmaker and screenwriter, regardless of your theory on how bad Iron Man 3 was. If he can focus his attention to the dialogue and wittiness of his characters instead of trying to make a successful action flick, this will be a success. It seems as though he’ll be swapping the violence and action for some potential PG-13 fun, but could still honor (and surpass in quality) the original. The stellar cast shown above and Shane Black’s touch should have many of us at least intrigued, if not enthusiastic. Synopsis: A mute bartender goes up against his city’s gangsters in an effort to find out what happened to his missing partner. 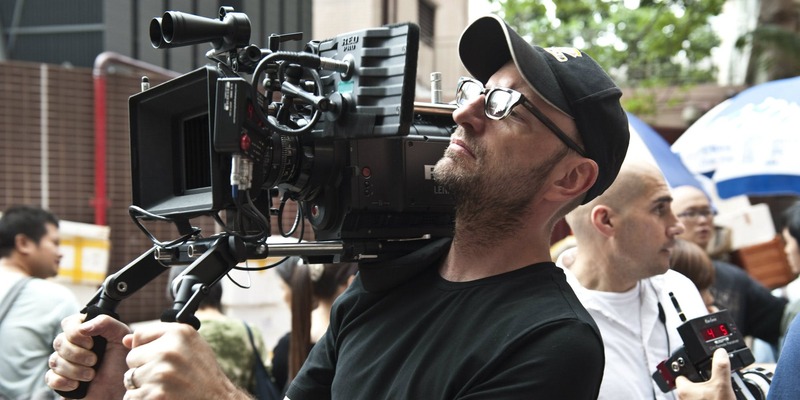 Why I’m Excited: A very little known fact about me: my favourite director working today, since he’s un-retired, is Steven Soderbergh. This year he gave us a familiar feel for him with the charming and fun heist film, Logan Lucky, but don’t expect to feel so comfortable next year. Unsane is the first horror film from the director (if you don’t count Contagion, which you shouldn’t) with the plot seeming more unsettlingly realistic than supernatural. Up and comers Juno Temple and Claire Foy will bring some great acting to the peculiar picture. Oh, by the way, the film will be shot on an iPhone. Hope we have some Tangerine fans here. Why I’m Excited: In 2012 he delivered a haunting and dangerously tense film with The Hunt. In 2015 he gave us the charming reimagining of the classic novel, Far from the Madding Crowd. Now in 2018, the Danish filmmaker will offer up his take on the submarine tragedy that occurred on the 12th of August, 2018. 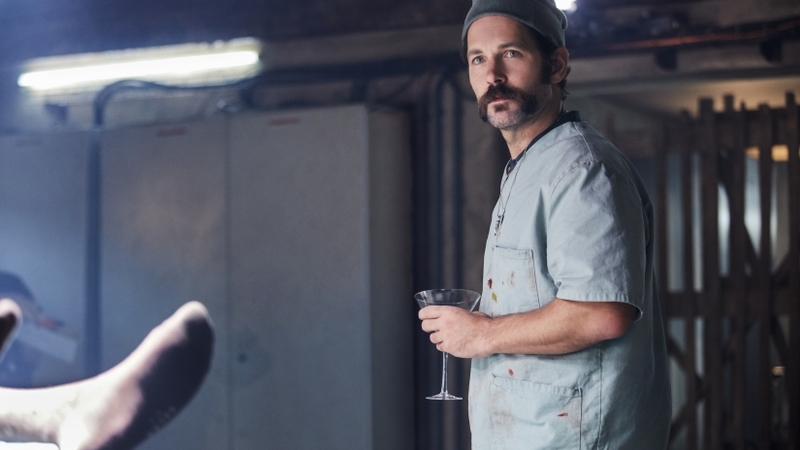 With a stellar cast, a budget of $20 million, and a heartbreaking and enticing plot, it seems like Vinterberg is looking to add more Oscar nominations to the one earned for Best Foreign Language Film. The Dane is quickly becoming one of my favourite directors; his indies have been astonishing so knowing he will get the chance to prove himself with a real budget is exciting as all hell. I’m a sucker for films dealing with the struggle of surviving against the odds, so I’ll be sure to bring extra tissue paper to this assumingly emotional flick. Why I’m Excited: Wow, two Claire Foy films in a row, cannot see them being very similar in tone, though. A biopic about Neil Armstrong is many decades overdue, and Damien Chazelle is an exhilarating choice to helm it. Regardless of how you feel about La La Land and its success at the Academy Awards last year (or, lack thereof, I guess) observing it alongside his freshman effort, Whiplash, it’s irrefutable to call Chazelle anything other than an astounding filmmaker. If the 32-year-old’s track record says anything it’s that this will have style and substance; if screenwriter Josh Singer’s (The Post, The Fifth Estate, Spotlight) track record says anything it’s that this will have witty dialogue and will make the dullest of scenes invigorating. 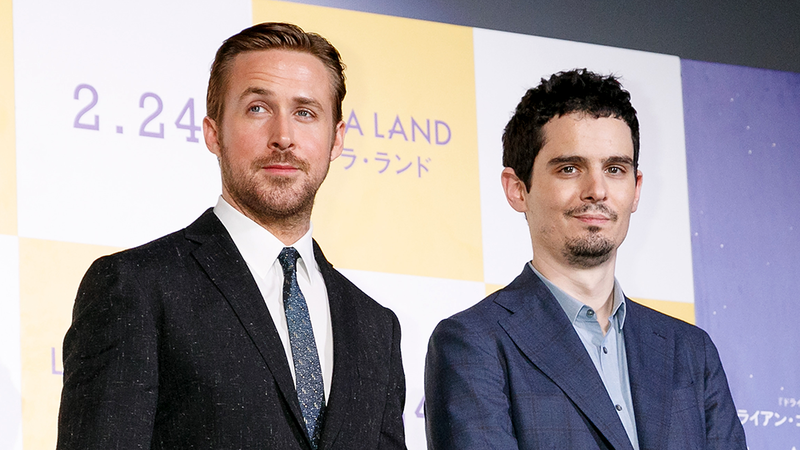 La La Land lead Ryan Gosling will play the famed astronaut along with a pretty incredible cast including Lukas Haas and Corey Stoll playing his fellow space-men. Synopsis: A man attempts to rescue his sister who’s been kidnapped by religious cult. Why I’m Excited: Following two critically acclaimed, martial arts heavy, Indonesian films and one short film concluding the second in the V/H/S anthology saga, Evans will be presenting his most mainstream film to date. Seeming like a cross between Green Room, Red State, and The Sacrament only time will tell which it’s most like in tone. The cast above may be small, but sure will be powerful, especially exciting as it’s Evans first time working with renowned actors. This may be one of the biggest gambles on the list, but if executed correctly, could be one of the most successful indies of the year! 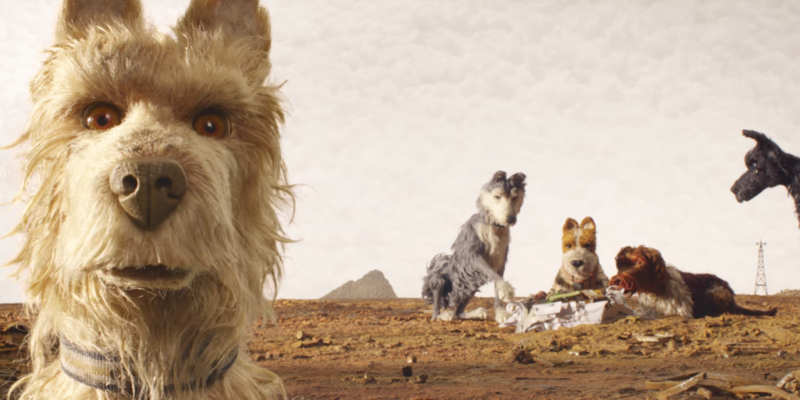 Synopsis: Set in Japan, Isle of Dogs follows a boy’s odyssey in search of his dog. Why I’m Excited:What are the odds of the 365 days in the year, our #4 and #8 have the exact same release date; sure will be a busy weekend for this cinephile! Wes Anderson finally nabbed that Best Picture nomination with his last film, The Grand Budapest Hotel; I don’t expect this film to hit such heights, but could easily surpass many to be one of his greatest films. Arguably, Anderson’s greatest cinematic feat to date was the criminally underrated 2009, Fantastic Mr. Fox; being the same style of stop-motion animation, Isle of Dogs film seems like it’ll be closer in tone to his last animated feature. The visuals look stunning, the Japanese setting seems like a passionate choice, and Anderson’s witty humour is abundant. Be on the lookout for this to be one of the director’s most fiscally successful films. Take a quick gander at the trailer below! Why I’m Excited: Yes, I did type all 30 of those cast names myself for I felt it important to highlight what we’re getting into here. Many might think after a underwhelming Thanos introduction that this would be lower on my list, but I wholly believe that the film is going to be unlike anything we’ve seen before. For those like me who absolutely loved Captain America: Civil War, then it’s a no brainer that we’re debating already waiting in line to see the film. A: IW promised to be bigger than any film we’ve seen in the MCU, and also assured to leave lasting effects that may not leave our favourite heroes alive. Since Iron Man in 2008, we’ve been waiting for the phases to culminate in what we’ve casually named The Infinity Wars. This cinematic universe has been at the forefront of my adolescence and I am ecstatic to see it finally climax. Why I’m Excited: I’m upset with myself for even having this on my list, but when it comes to feature films, the line between television and theatrical has become blurred with sites like Amazon and presumably Netflix being nominated for Oscars. Fahrenheit 451 may be a TV movie on HBO, but that doesn’t stop the fact that it’s also my favourite novel of all time. The Ray Bradbury sci-fi classic has been put to film embarrassingly before, but never with such high caliber stars attached nor an idealistic indie director. 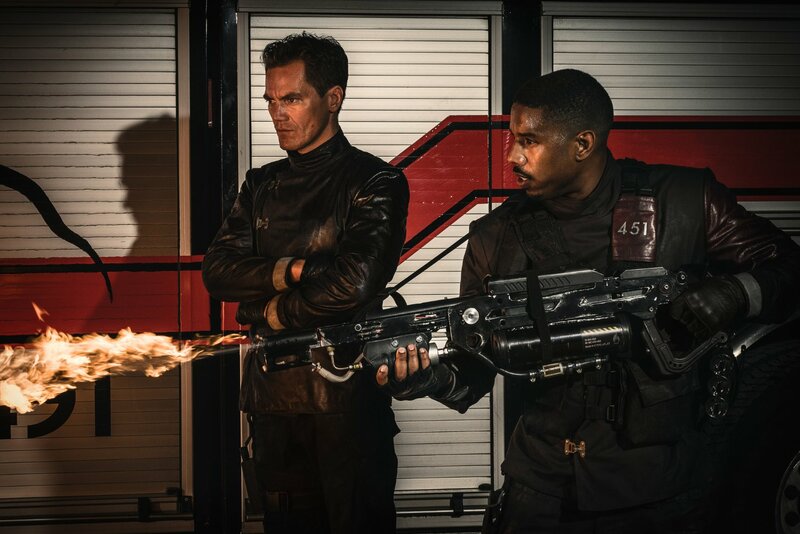 Pinning Michael Shannon and Michael B. Jordan together as Captain Beatty and Guy Montag, respectively, is better than any pairing I could have hoped for. This is the pick I expect most of you will be scratching your heads over, but I’ll say it unapologetically, I cannot contain my excitement for this intimate and philosophical timeless story. Synopsis: After the deaths of three children suspected to be by wolves, writer Russell Core is hired by the parents of a missing six-year-old boy to track down and locate their son in the Alaskan wilderness. Why I’m Excited: Jeremy Saulnier has directed three feature films; his second was my ninth favourite film of 2013 (Blue Ruin) and his third was my second favourite of 2016 (Green Room). He’s back next year to bring us another thriller that seems just up his ally. Saulnier’s films are raw; they don’t hold back nor do they hold your hand. Not only will him directing the cast above surely prove him into stardom, but the story based off bestselling novel of the same name will surely compliment his aesthetic and filmmaking style. If this film is as good as I’m expecting, Steven Soderbergh may have to take a backseat to a new favoruite director of mine. Any films we may have forgotten or should have ranked higher? Be sure to let us know and check out our Honorable Mentions below! – The Incredibles 2: Brad Bird is back 14 years later to give us the teased animated super-family flick. – Deadpool 2: Ryan Reynolds and crew come back to the screen in 2018 to introduce cable played by the new beefed up Josh Brolin. – Venom: Tom Hardy is on board to play the title character in this film, directed by Ruben Fleischer (Zombieland), which reportedly will have zero to do with the the Spider-Man we have in the Marvel Cinematic Universe. – Mary Magdalene: Rooney Mara will play the religious idol alongside Juaquin Phoenix who’ll be portraying the son of God. – Boy Erased: Actor and director Joel Edgerton (The Gift) will helm this film dealing with a baptist priest and church-supported gay conversion program. – Piercing: Christopher Abbott and Mia Wasikowska star in the thriller about a man finally completing his fantasy of murdering a prostitute. – Bad Times at the El Royale: Following his genre-bending gem, director Drew Goddard (The Cabin in the Woods) follows up with a shootout at a dilapidated hotel in Lake Tahoe, California. Jeff Bridges and Chris Hemsworth are currently signed on. – The House That Jack Built: Lars Von Trier (Antichrist, Nymphomaniac Part 1 & 2) follows up his two part sexual drama with a look at 12 years of Matt Dillon playing Jack, a serial killer . – Roma: Alfonso Cuarón‘s first film in five years that’ll chronicle a year for a middle-class family during 1970, Mexico City. – The Irishman: Martin Scorsese seems to be back to his crime roots. The film details the hitman of Jimmy Hoffa and reunites mob-film veterans Robert DiNero, Al Pacino, Joe Pesci, and Harvey Keitel. – If Beale Street Could Talk: Barry Jenkins (Moonlight) coming off his Best Picture win gives us a film dealing with poverty, the justice system, racial tensions, and young pregnancy.